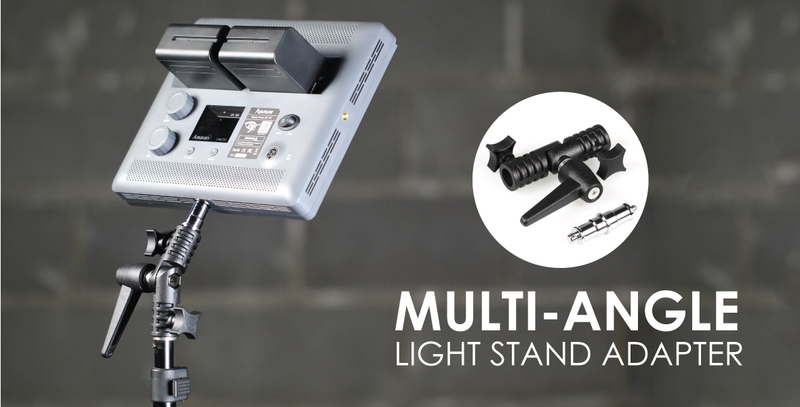 The Multi-Angle Light Stand Adapter gives your light panel freedom to be tilted and positioned in multiple ways. Adjust your mount to the most optimum lighting angles for well-lit photos and video. 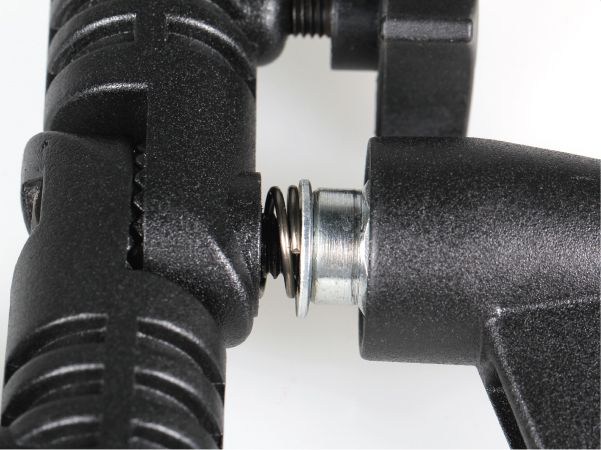 The adapter features three separate knobs that allow you to easily secure and adjust the position of your light panel. 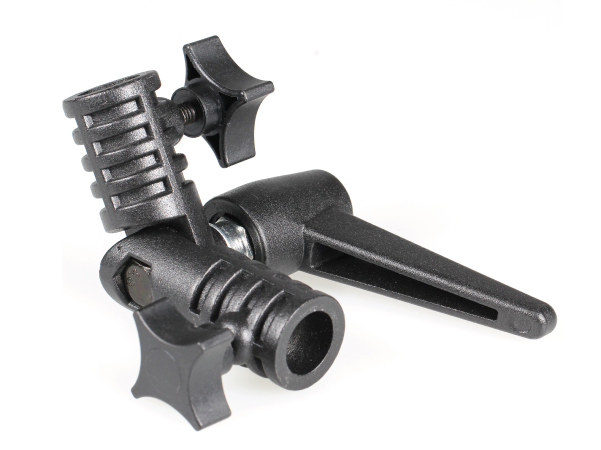 Our adapters are cast molded and are made out of high-grade alloys. The robust design guarantees it can handle any task to give you the utmost confidence. 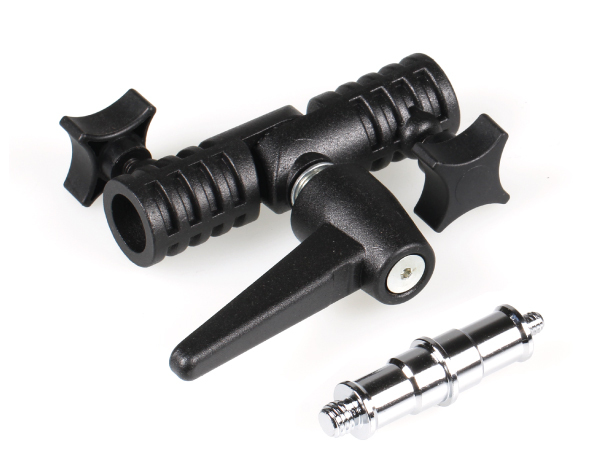 The Multi-Angle Light Stand Adapter Features a double-ended 1/4" screw and a 5/8” stud that allows you to attach many standard photo and video accessories. 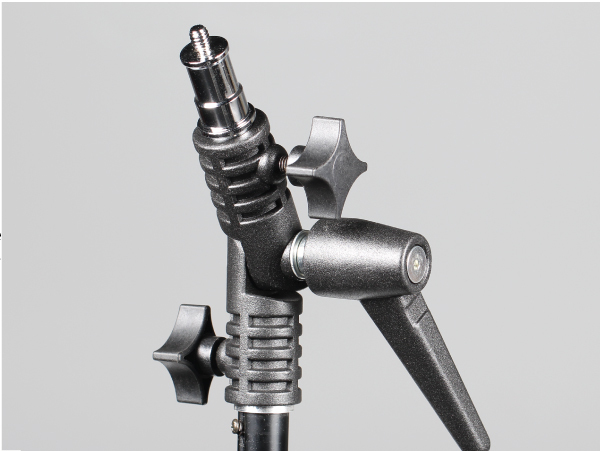 The articulating joint provide the most versatility to position your light panel in almost any configuration you need. 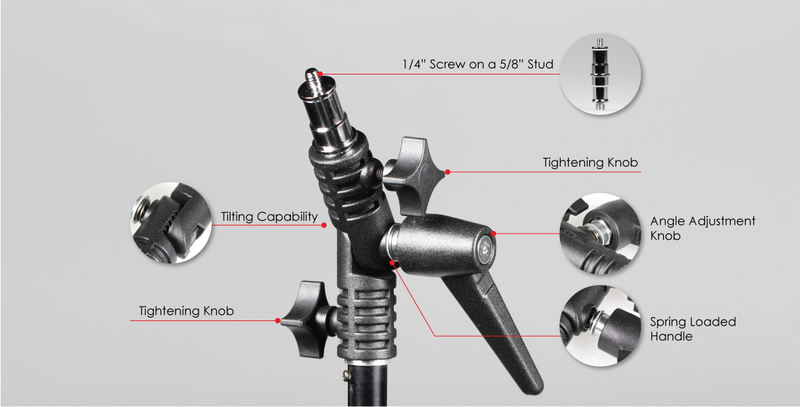 The angle adjustment knob can be adjusted to any rotational position by pulling out the spring loaded handle, turning it, then releasing it back into position.